Sting | News | Dominic Miller's Tour Starts next week! 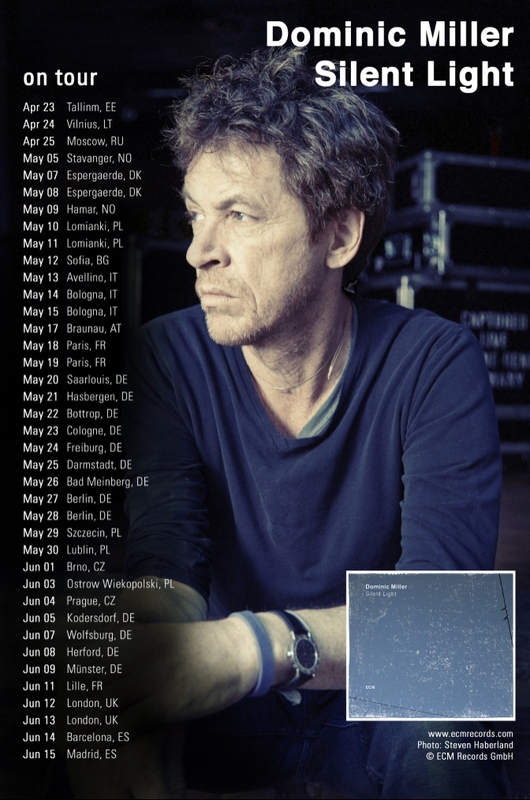 Dominic Miller's Tour Starts next week! Dominic Miller is about to start a lengthy European tour on 23 April and it's something you really shouldn't miss. Tickets are now on sale for all shows at DominicMiller.com. Dominic's latest album 'Silent Light' is also available from his site so if you don't already have a copy, seize your chance! Sting, John Mayer, Robert Plant And The Sensational Space Shifters, Lenny Kravitz, Counting Crows, And David Byrne Top The Bill For Second Annual Bourbon, Food & Music Festival At Champions Park In Louisville, KY Saturday, September 22 and Sunday, September 23..